Funique is a truly unusual still very reliable UK shop to buy furniture online. We pride ourselves to offer vast selection of top quality furniture in reasonable prices, including living room furniture, dining room furniture as well as nursery furniture and much more. Our furniture offer is truly unique. All our products are made in Europe. We cooperate directly with the manufacturers without the middlemen. 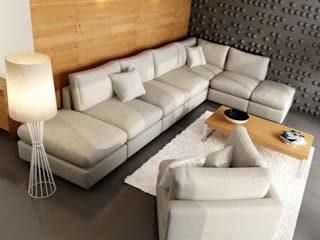 What is more, a lot of the furniture ranges are exclusively dedicated to Funique’s customers. We also create our own designs to match to modern home décor trends. Our logistics service is also unique. The goods are often delivered directly from the manufacturer to the customer which saves time and costs. Therefore we are able to offer great prices and reasonable delivery times. We also offer customizable products. 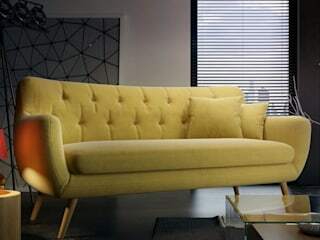 Our modern sofas as well as fabric upholstered dining chairs are made to order. What is more, we offer Free Fabric Sample service to make sure that Funique customers receive the perfect products of their choice. Funique is proud of its unique nursery furniture sets. Most of these could not be found with other online sellers in UK or any high street shops. Our products are ideal introduction to any baby or kid’s room. Funique offer includes different ranges, either typical for boy bedroom as well as for girl’s room. There is no other place to buy unique furniture online UK as with Funique. If you would like to follow modern home décor trends and dream of fashionable living room furniture with modern sofa, stunning dining chairs set or one-of-a-kind nursery furniture collection for your baby room, check our offer. YOU WONT RECEIVE YOUR FURNITURE AND YOU WONT SEE YOUR MONEY AGAIN - they are conning people, taking orders and money and then ignore you and you wont ever see your furniture you have been waiting for for months, they tell you lie after lie to keep you hanging in there and waiting for something that will never happen. They wont give you your money back. Absolute disgrace of a company, how much stress they have caused me in last few months is unbelievable. i don`t know who they are still trading, i`ve just reported them to trading standards. 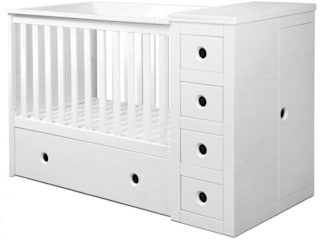 I made an order 25th March for a 3 piece bedroom set for the arrival of my baby. I ordered it with plenty of time for delivery as I know things can get delayed. I didn't receive the cot until June, I wasn't told that it was only the cot being delivered until I rang them when the delivery happened and asked where the rest of my items are. I was told it wouldn't all fit on the van and would be delivered on the next van.. that was a lie. After constant emails and phone calls, I was told in late July that I would receive all items within a month; the heat of drawers within two weeks and the wardrobe two weeks after that. I then received the chest of drawers in August but there is still no sign of the wardrobe 5+months later. I did receive a small discount on purchase which I was greatful for and after the initial delays for the furniture I was given £90 refund and promised the furniture wouldn't be long. Then in July I was told I would get a 12% refund if I accept delay but it will be with me within the month. I accepted that delay as I loved the furniture and wanted to complete the set; but I was then told after weeks of me asking about the refund that I wouldn't receive it until I receive my full order... well that still hasn't happened. Customer service is poor, the have an attitude that comes across that they can't be bothered. All I want like the rest of the people who have made a review on here is the products that are left.